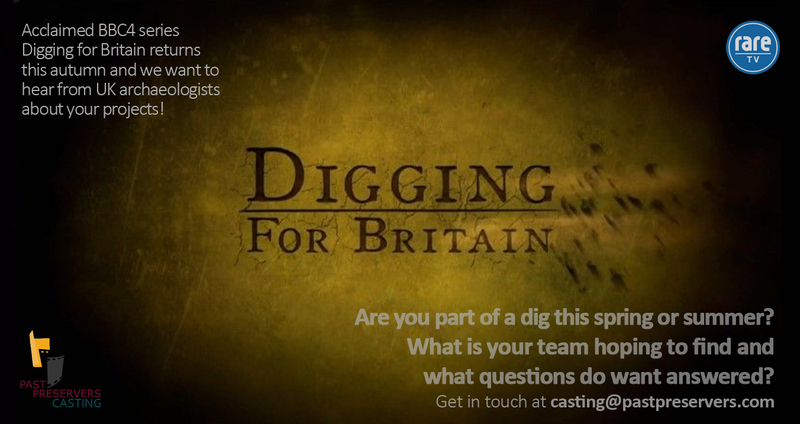 Acclaimed BBC4 series Digging for Britain returns this autumn and we want to hear from UK archaeologists about your projects! Are you part of a dig this spring or summer? What is your team hoping to find and what questions do want answered? Please get in touch via casting@pastpreservers.com if you are interested in this project.